Are your stock pads just not cutting it anymore? Check out Cool Carbon's line of performance brake pads for your Porsche or BMW and experience excellent bite, fade resistance, low dust and virtually no noise. 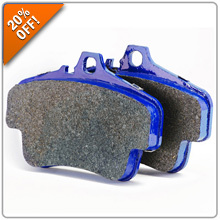 Not to mention you can have this incredible stopping power and still safely use them with your OE rotors. Take advantage of 20% OFF now through April 4th when you enter promo code COOL20 during Checkout. Click Here for Cool Carbon for your Porsche! Click Here for Cool Carbon for your BMW! BRAID USA classic BZ wheels in the original OE offsets for your 911! 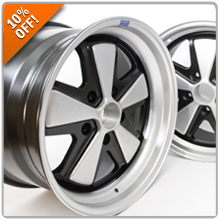 These wheels are manufactured through a semi-forged process resulting in a very light yet strong authentic-looking wheel. 10% OFF All 8380 Labs Posters & T-Shirts! 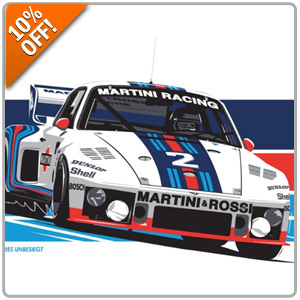 Looking for a super cool motor-sports-themed poster or t-shirt? Check out the bold artwork featured on each 8380 product we offer covering historic events and successful race cars. Roll into your next Coffee & Cars event wearing a shirt others will envy or display a premium poster within your man cave! Check out all 8380 products and receive 10% OFF when you use promo code 8380 at Step #5 during Checkout!